Whilst the sound of travelling to the Amalfi coast may entice you and the lakes in Northern Italy bring out the nostalgic side to you, Italy’s islands have long been forgotten as a major tourist attraction and because of this, it is possibly one of Italy’s best kept secrets. So what makes the island of Sicily stand out when compared to the mainland and other Italian islands? Scopello Villas based in Sicily have provided some insights into the island and what you can expect if you were to ever visit. (We think after reading this, it may just be on that travellers wishlist). Sicilian food is out of this world. Yes, from luscious salads to the charcoal fires that both grill and steam the freshest, tastiest and locally sourced produce you are spoilt for choice. 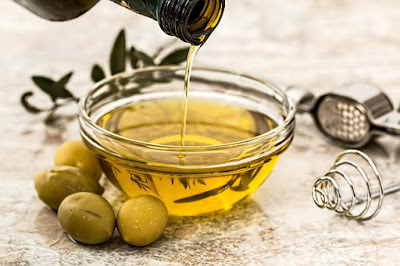 From the granita (flavoured crushed ice) to the arancini (fried rice balls) to even their choice of fruit, vegetables, succulent and flavoured olive oils you will never leave Sicily thinking that you didn’t eat well. Because of it’s proximity to Africa as well as mainland Italy, you will find that a lot of cuisine is inspired by a lot of northern African flavours and choices. Things such as tagines are common in Sicily as well as the use of spices in pasta dishes that would otherwise be uncommon across the mainland. It is a foodie heaven. From Mt Etna to the glorious sun kissed beaches, you will be hard pushed to find a landscape that doesn’t have the best that Mother Nature can throw at you. If you wanted to place yourself in the heart of a different terrain for every day of the week, you really can in Sicily. From rugged mountains to the tranquil olive plantations and once again, those glorious beaches you are simply spoilt for choice on the island. There is so much to see on the Island, from bustling metropolis’ to coastal mountain getaways, street food and trade in cities and towns to the calm and tranquility of village life across the whole island. Taormina is the Amalfi Coast of Sicily; Syracuse is the most ancient greek area of the lad; Savoca inspired Mario Puzzo and Francis Ford Coppola in the making of the Godfather films and Palermo is the provincial capital adorned with theatres, art, beautiful churches and a street food culture that puts other nations to shame. What about Scopello, it’s a beautiful area of the region of Trapani adorned with emerald blue water, sandy beaches and a landscape that time has forgotten. 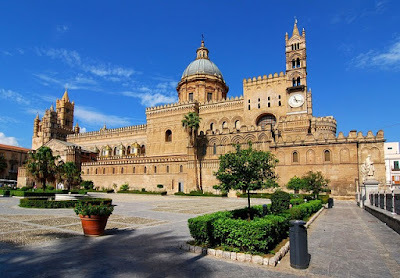 Sicily is arguably one of the friendliest places on the planet, the people love to welcome tourists and anyone looking to make a massive lifestyle change by moving there. Whilst the regional dialect may be hard to understand; especially if you’ve been somewhat geeking up a little, they take time to explain things and show you what the glorious island has to offer. They are particularly welcoming when it comes to weddings, setting the stage for some of the most glamorous and spectacular ceremonies that will be in the memories for a lifetime. Cannoli are notorious for a variety of reasons but mainly because, we’ve all seen the Godfather and it’s never quite clear what they are. 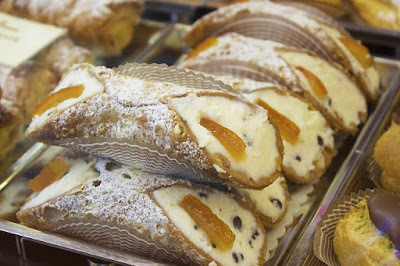 Cannoli is possibly one of the best things you can ever eat, simple as that! It’s a shortcrust, flavoured pastry with a sweet and incandescent filling known as “cassata”. It is ricotta with sieved icing sugar, candied fruits and chocolate bits… they are just to die for. Actually most of the island is covered in wonderful sweets and desserts, so yes, you can go to Sicily and be fed some of the most amazing desserts as well as food to your hearts content.